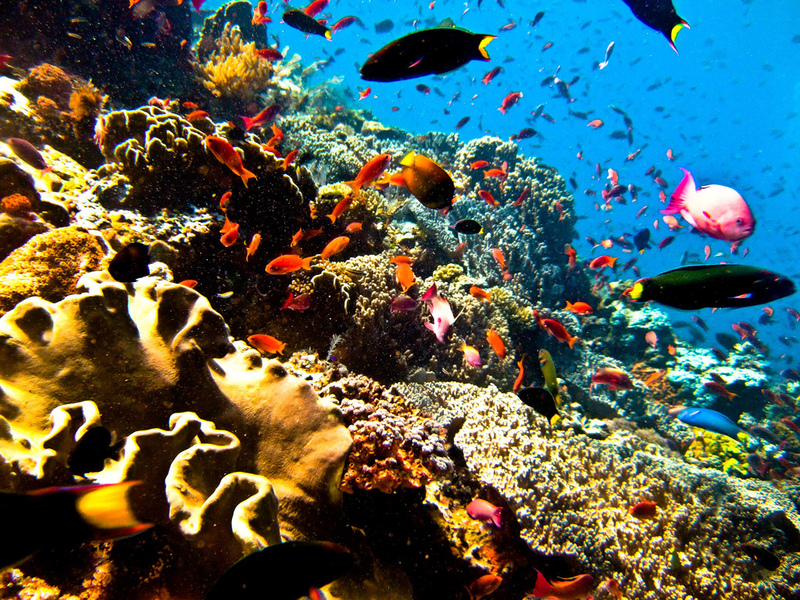 Bunaken National Park is home to some of the highest levels of biodiversity in the world. Oceanic currents sweep past Bunaken Island bringing a steady supply of nutrients to the marine ecosystem. The steep walls here have tremendous coral growth with bustling fish life and many turtles to be found. Image collect by XL Catlin Seaview Survey. Silakan eksplor menggunakan Google Street View. Blog ini adalah tempat belajar interaktif secara online tentang ekosistem terumbu karang di Indonesia. Bahan pembelajaran berupa gambar dari Google Street View yang dapat ditelusuri secara interaktif. Pendidikan Ekosistem Terumbu Karang. Design by Sora Templates.